BBI’s Leadership Team Come Together to Discuss Current Progress and Future Goals at Mid-Year Strategic Plan Meeting — Binkley & Barfield, Inc. 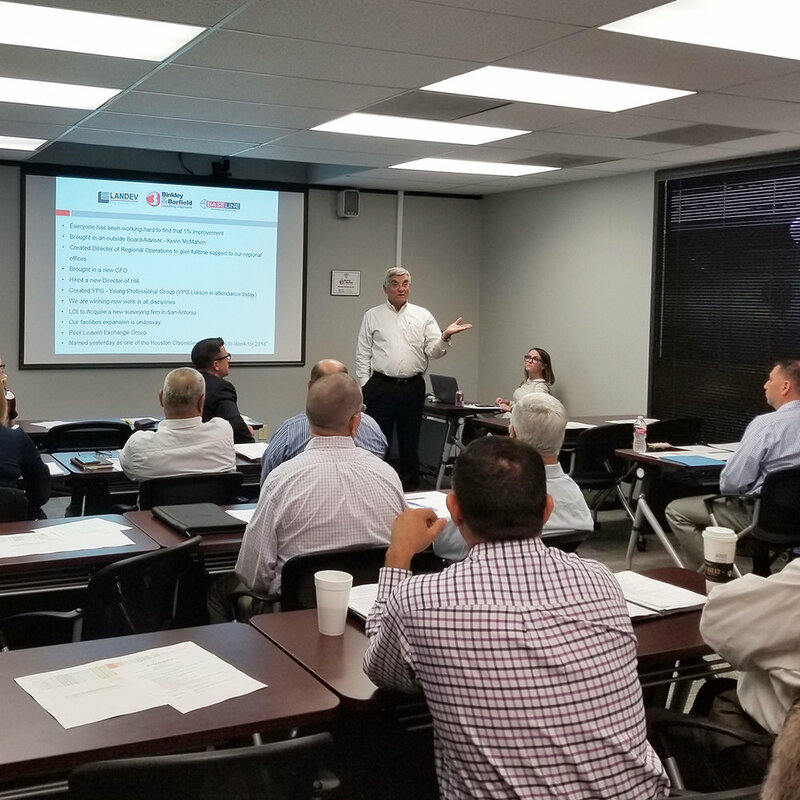 Team leaders from all offices and divisions of BBI’s Family of Companies came together on Wednesday, August 1 at BBI’s Houston office for the Mid-Year Strategic Plan Meeting. The Mid Year meeting was held to gauge the team’s ongoing progress, as team leaders presented individual “map updates” that helped them to identify team achievements and challenges, as well as to continue the discussion of a strategic action plan for the future. Attendees also revisited the “What’s Your 1%” theme of the 2018 Strategic Retreat by reviewing how they had worked to make a 1% improvement during a time of much internal corporate change. We have had a very successful year so far, and with these action plans, we plan to finish the year stronger than we initially anticipated. We cannot wait to see what is in store for us in the coming months! Newer PostBBI’s Back to School Supply Drive Benefitting the Star of Hope was a Great Success! Older PostJoin Us Today in Celebrating National PE Day!